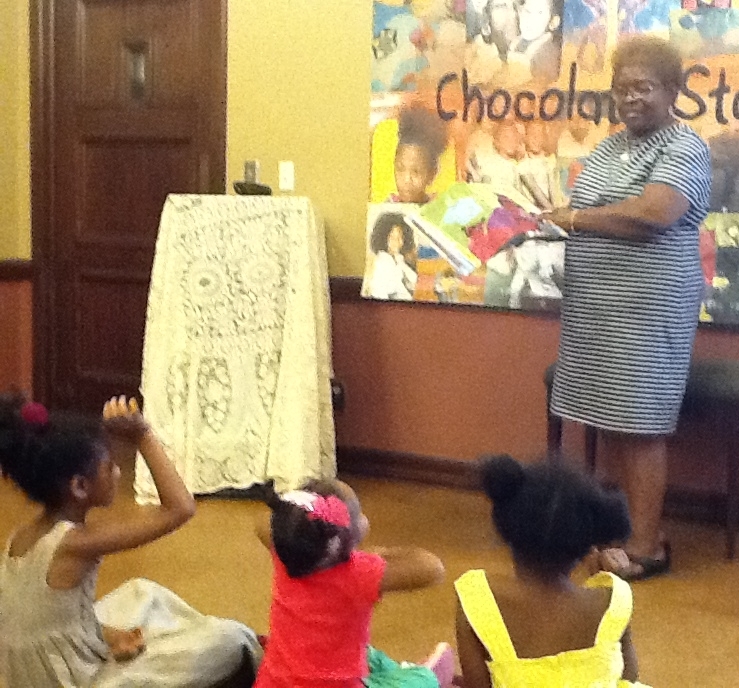 For the month of September, we had special guest reader, Ms. Pearline Johonson, a resident of Pasadena for 53 years. Ms. Johnson worked at Jet Propulsion Laboratory as a resource manager, and is now retired. Even before her retirement, Ms. Johnson has had a passion for journeying beyond the San Gabriel mountains to different parts of the world. She has traveled to Greece, Paris, Puerto Rico, Jamaica, and Holland. Ms. Johnson is a member of the Black History Celebration Planning Committee and volunteers at Descanso Gardens, the Huntington Library, and the Jackie Robinson Senior Center. Along with traveling and volunteerism, Ms. Johnson also enjoys reading and exercising and is the mother of three adult children. After storytime, second graders, Alicia and Khamani helped kids draw self portraits and pop-up cards. Below are the books that we read for the September 2014 Chocolate Storytime. Some of the books have been purchased from Eso Won Bookstore in Los Angeles or Vroman’s in Pasadena, or checked out from the La Pintoresca Branch Library. Apart or together, near or far, day or night, from childhood to adulthood — the never-ending reach and power of a mother’s love touches every moment of every day, even when you least expect it. All you need to do is make sure to notice. 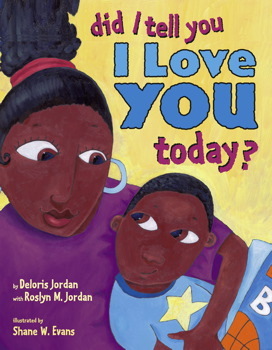 Deloris and Roslyn M. Jordan, mother and sister of basketball superstar Michael Jordan, celebrate family in this reassuring book about the many special ways we cherish those we love. 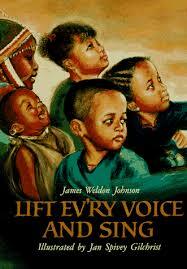 Written by civil rights leader and poet James Weldon Johnson in 1899, “Life Ev’ry Voice and Sing” is sung in schools and churches throughout America. The popular, timeless song is recognized as a testimonial to the struggle and achievements of African-American people — past, present, and future. 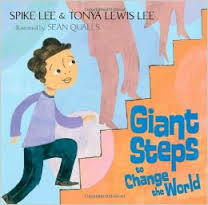 Academy Award nominated director Spike Lee, and his wife Tonya Lewis Lee offer up an inspirational picture book about activism and taking the big steps to set things right set to beautiful illustrations by the award-winning Sean Qualls. Using examples of people throughout history who have taken “giant steps”, this book urges kids to follow in their footsteps and not be hindered by fear or a sense that you are not good enough. Despite the challenges, even the smallest step can change the world.